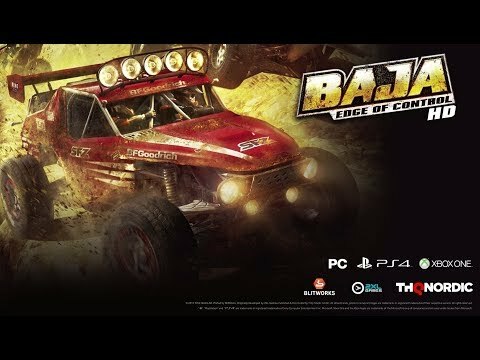 Baja: Edge of Control HD is the carefully remastered version of the original off-road racer from 2008 and contains more than 1,000 miles of the toughest terrain including the steepest mountains, thickest mud and deepest canyons known to man. Only the HD version features much crisper and more detailed visuals running at super smooth framerates in up to 4K screen resolution along with improved controls, user interface and an easier career start. © 2017 THQ Nordic AB. Ported by BlitWorks. Originally developed by 2XL Games.Published & Distributed by THQ Nordic GmbH. All other brands, product names and logos are trademarks or registered trademarks of their respective owners. All rights reserved.